"International superstar Yrsa Sigurdardottir has captivated the attention of readers around the world with her mystery series featuring attorney Thora Gudmundsdottir. Now, Yrsa will stun readers once again with this out-of-this-world ghost story that will leave you shivering. In an isolated village in the Icelandic Westfjords, three friends set to work renovating a rundown house. But soon, they realize they are not as alone as they thought. Something wants them to leave, and it's making its presence felt. Meanwhile, in a town across the fjord, a young doctor investigating the suicide of an elderly woman discovers that she was obsessed with his vanished son. When the two stories collide, the terrifying truth is uncovered. 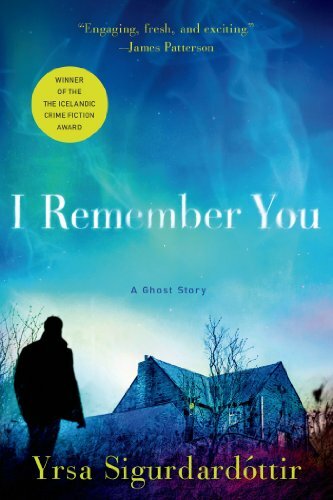 In the vein of John Ajvide Lindqvist, this horrifying thriller, partly based on a true story, is the scariest novel yet from Yrsa Sigurdardottir, who has taken the international crime fiction world by storm."